Dan Winnik had plenty of food for thought in the moments leading up to his recent trade to the San Jose Sharks. His name had been bandied about as a likely prospect to be changing jerseys on Trade Deadline Day, a player coveted for his size, physicality and ability to chip-in offensively. So, when Winnik did receive the news he was on his way from Colorado to Western Conference rival San Jose, it was anything but a surprise for the veteran of nearly 350 NHL games. “I was having my pre-game meal when I got the call letting me know I was traded,” Winnik told NHLPA.com just moments after the deal had been made. “It was strange in that I was preparing for the game that night (Colorado went on to beat Anaheim 4-1) and I was the first one there for the pre-game meal. Usually, that's not the case. Winnik, who along with Galiardi and a seventh-round pick in the 2013 Entry Draft, were sent to the San Jose Sharks in exchange for Jamie McGinn and prospects Mike Connolly, Michael Sgarbossa, didn't have much time to get things in order before flying out to California. In Winnik, San Jose gets a 6'2”, 210-pounder that can kill penalties, forecheck and provide some offensive pop to a San Jose squad in search of their first Stanley Cup championship. This season, Winnik has 18 points (five goals, 13 assists) and 42 penalty minutes in 63 games with Colorado. He had played in every game this campaign and was second on the team in shots with 155. The Sharks are pleased with their new additions. “We feel that T.J. and Daniel bring some additional size, speed, and penalty killing ability to our existing group of forwards,” said Sharks Executive Vice President and General Manager Doug Wilson. San Jose is a team Winnik knows well. 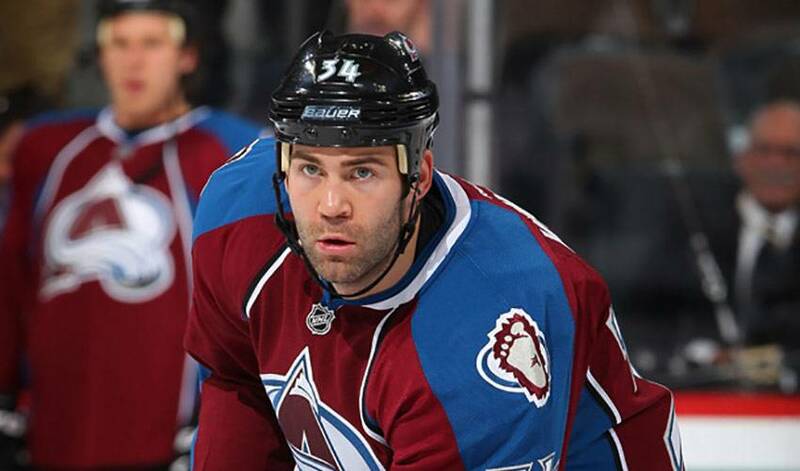 As for where he fits in, Winnik, who was traded by the Coyotes to the Avalanche for a fourth-round selection in the 2012 NHL Entry Draft in June of 2010, isn't looking to skate in and do anything different. One of his primary goals is to provide San Jose with his trademark strong short-handed play. Winnik will also get to play alongside a familiar face, a former minor hockey teammate from his days in southwestern Ontario. Winnik is also eager to add to his NHL playoff experience. Heading into 2011-12, he had appeared in just seven games. The warm California climate certainly doesn't present a problem for Winnik.